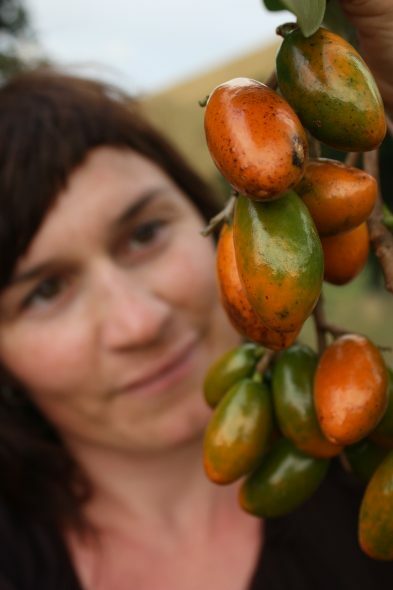 Karaka, with its large shiny leaves and bright orange fruit, is one of New Zealand’s most distinctive trees. But in pre-European New Zealand, karaka was much more than just a handsome tree – the kernels of its fruit provided an important food source for Māori. This was despite the poisonous kernels requiring considerable treatment before they could be eaten. Karaka was so significant that Māori planted it outside its natural range of northern North Island and as far afield as Bank’s Peninsula and the Kermadec and Chatham Islands. I was recently involved in a study that used DNA to try to trace the origins of these planted trees of karaka (Corynocarpus laevigatus). Discovering the origins of planted trees can also tell us about the people that moved them. For example, finding the source of karaka on the Chatham Islands/Rekohu, where it is known as kōpi, may show the New Zealand departure point of the Chatham Island Moriori. Our DNA results showed that karaka from the Three Kings Islands is distinct from karaka from the rest of New Zealand. Our dating using a DNA molecular clock showed that the karaka on the Three Kings Islands became isolated around a million years ago. This result is not surprising as the Three Kings Islands are home to a number of unique plants and animals. These endemic species indicate that these islands have long been isolated, despite being only 56 km from the northern tip of the North Island. But what do these results mean for the origins of planted karaka trees? We can now exclude the Three Kings Islands as the source of karaka planted in southern New Zealand and the Chatham and Kermadec Islands. 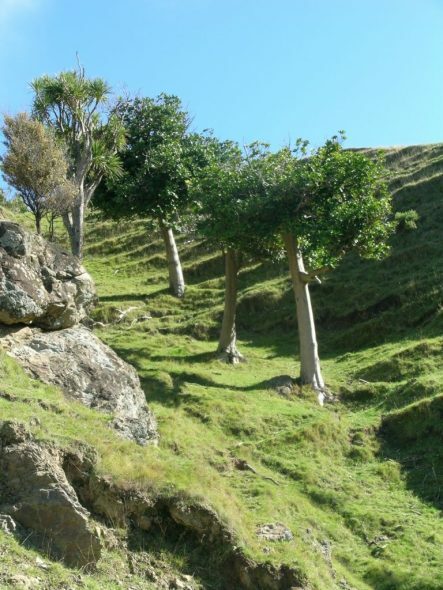 However, our current DNA analyses could not distinguish populations through a large area of the northern North Island, and the planted trees could have come from anywhere in there. We are now planning more detailed DNA analyses to try to tell apart karaka from different parts of northern North Island. Science is often a slow process with many small steps towards a final goal. The Karaka tree is interesting. I’ve got one in my front garden, and I’d be interested in trying to make something from the fleshy fruit (avoiding the kernels which apparently need robust detoxification). However, I can’t seem to find any recipes on how the fruit could be used other than drying it or eating it raw. How is it best to separate the fruit from the kernel and then use the fleshy fruit for, say, making a jam? Is there anything in indigenous texts that could shed light on this? Thanks for your comments Heef. I’ve only come across recipes for the (treated) kernels, not the fruit. I remember reading somewhere that karaka fruit were mostly eaten by children. I imagine that taking the fruit off the kernel would be a bit of a time consuming task so maybe there were other species used that were easier to prepare (I’ve read that poroporo was made into jam). Maybe another reader will be able to comment.